Tired of using the same old apps and games, week in and week out? Well, that’s what our Five to Try column is designed to fix, as we spotlight new Android releases worth a look. 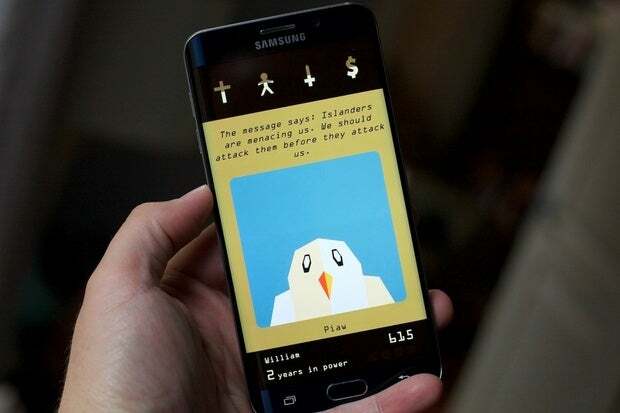 Our latest entry is headlined by Reigns, a clever king simulation that uses a Tinder-like interface to let you quickly swipe through consequential decisions. Add in a dash of dark humor and it’s a perfect fit for a quick phone play sessionlso worth a look this week are the kid-friendly and feature-rich Disney Mix chat app, goofy endless game Steppy Pants, Netflix’s new FAST Speed Test, and the Android adaptation of much-loved farming board game, Agricola. Clear some space on your device and snag a few fresh downloads this weekend.